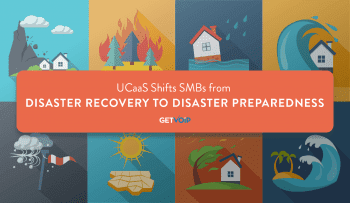 VoIP is uniquely suited to recover quickly from disasters. Whether a component fails, there is severe weather in some part of the world, or a user who makes a mistake, some amount of downtime is almost a given. But even if one part fails, that doesn’t mean that your work has to come to a halt. Redundant Redundancy – It’s entirely possible that a server can fail and you won’t even notice it. This may happen if your VoIP service provider has enough redundancy and other fault tolerant design. Even the smallest VoIP providers have at least two banks of servers, separated geographically, and, ideally, each bank or farm of servers can handle the entire load for a short period of time. Network Failover – The worst has happened, and now your phones are down. What now? VoIP providers, from residential to big business providers have backup numbers. Due to the properties of SIP, any time that one phone, say, your desk phone, is unavailable; the call will be forwarded to a second number, for example, your cell phone. This can apply not just to minutes but to your cellular data usage as well. It may be a little more pricey to use your cell phone data, but it beats not doing work. Another option, again, thanks to the properties of SIP, is that even if an entire office is down, say, due to a storm, calls can automatically be rerouted to another office entirely. Evacuation at the Touch of a Button – One feature that is universal in VoIP is the “Do Not Disturb” function that forwards all calls to voicemail. Office-wide business solutions exist that can have one person set a universal DND on the way out of the building in the event of an office evacuation. VoIP systems can also integrate call groups, page groups, and overhead paging to make sure everyone gets the message to get out. 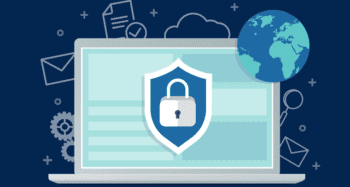 Your Data Is Safe – Except in extremely rare cases, your data should remain secure in the cloud. 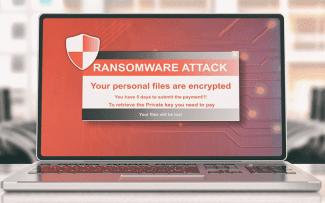 Vital information such as your own and your customers’ precious financial information are under the careful watch of your VoIP provider, and they have all the tools necessary to keep that data secure. Disaster Preparation – This also falls under the umbrella of fault-tolerant design, but it’s worth mentioning. With VoIP, all the hardware is hosted off-site. So, if you anticipate snow, there’s no reason to take a snow day. You can take your IP phones with you and plug them directly into your router; you can log in remotely to your web portal; you can use your same contact lists and software from home. In effect, if you can’t come to the office, with VoIP, you can take the office home with you.